Coverage: MediumSkin type: Normal Dry Combination OilyFinish: Natural A foundation stick designed to look and feel like skin that's formulated with skintone correcting pigments for the most natural-looking finish. A Bobbi Brown original, this innovative formula features Smart Technology for targeted moisturization or oil control, depending on what skin needs. It delivers medium-to-full coverage, and it comes in a convenient swivel-up stick for at home and on-the-go application. 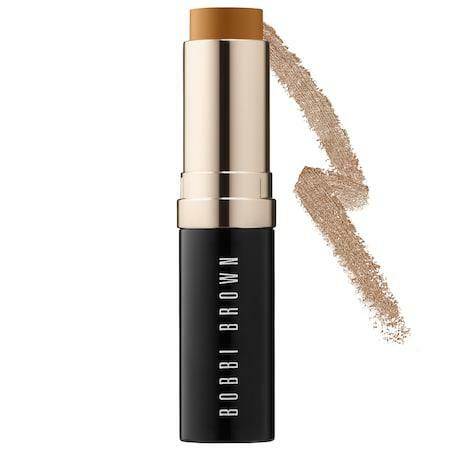 Bobbi Brown Skin Foundation Stick/0.31 Oz.